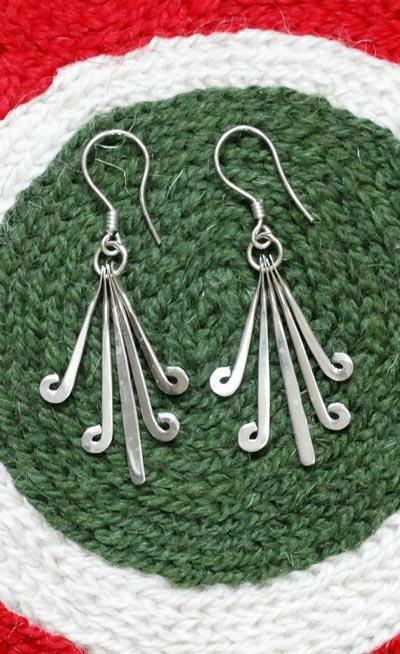 flores aztecas earrings Silverchilli - Beautiful fair trade sustainable silver jewellery from Mexico. 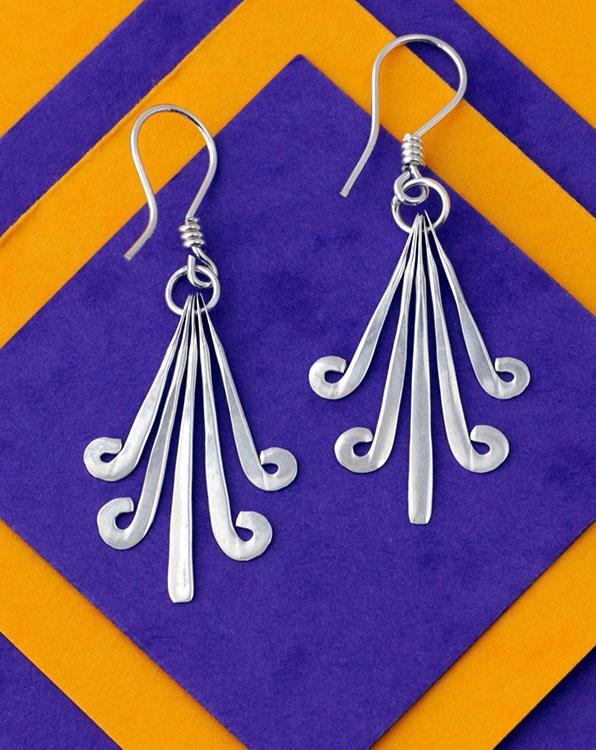 Our Mexican silversmiths have handcrafted these Aztec inspired flower earrings. 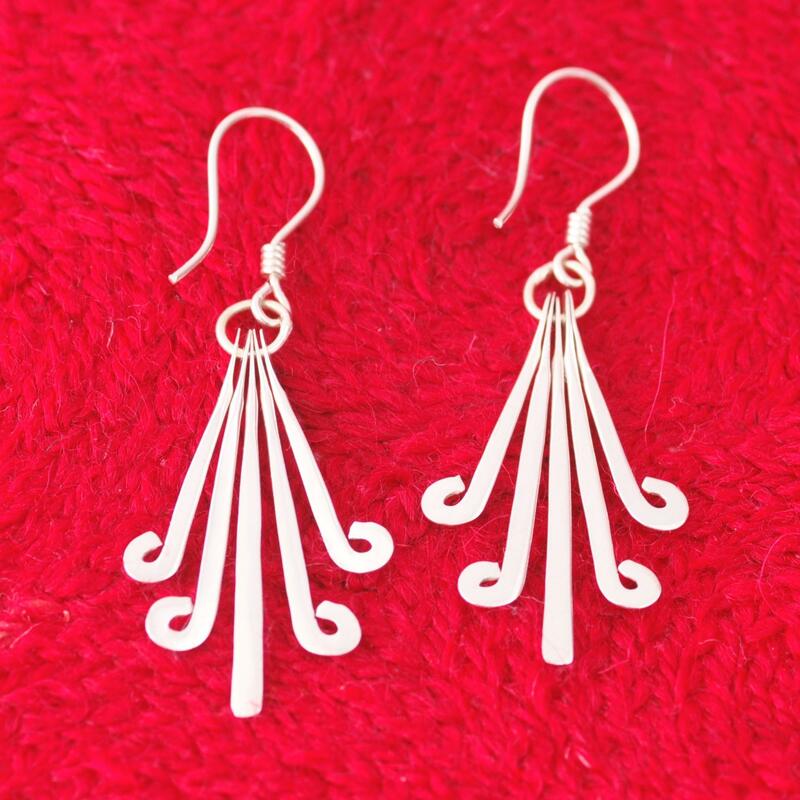 An unusual and elegant design.